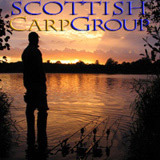 Scottish Carper - View topic - Wheres Best to Pike Fish? Wheres Best to Pike Fish? Hello, was just wondering if anyone had any ideas on where would be good places to fish for Pike around West Lothian. Are there any Clubs etc. I live in Linlithgow and ive been hooked on Pike fishing since my brother in law took me for the first time around a month ago. Still need to get a few bits and bobs like a good rod and a reel. Suppose we all have to start somewhere though. Any advice would be good. Re: Wheres Best to Pike Fish? You used to be able to fish linlithgow loch through the winter for pike. I don't know if it's still allowed. The permit used to be available from a shop in Linlithgow itself! You're not far from the forth and clyde canal and there's quite a few lochs within reach for pike. There used to be a tackle shop in falkirk that was quite useful for info! Yeh i know of that place in Winchburgh. Just a wee bit to far for me to walk and someone stole my bike during the summer. Was thinking about trying West Binny as someone that works in Halls with my Brother told him there are Pike in there. Think it was a Polish guy who told him though. might aswell give it a try. You never know. Well not long back from West Binny and anyone who says there are no Pike I seriously doubt. Hooked into something big although it got off before i managed to get a glimpse of the thing. Brother in law def wreckons it was a pike. What else would have taken a dead bait mackrel? Defo hooked something had it on for atleast 20 secs before it got free. Gutted so i was. He was poaching anyway so now banned from the forum!